Be safe, be seen. A powerful triple LED light is integrated into the back of the hand of a lightweight performance three layer glove. 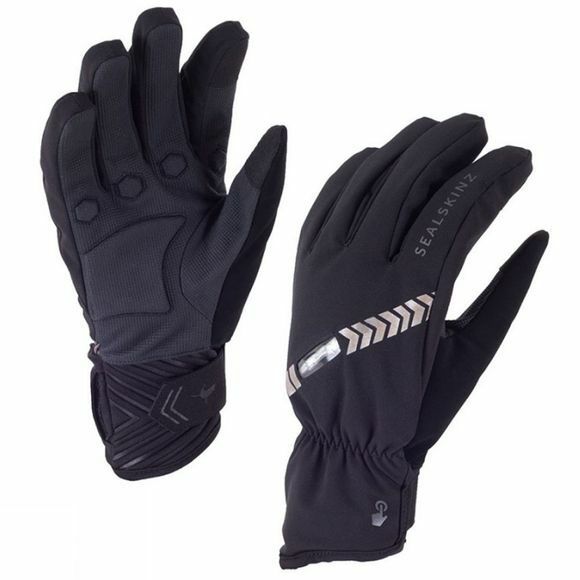 These gloves are designed to provide excellent grip and dexterity for conditions where waterproof breathable performance and added visibility in low light are required, making them suitable for a multitude of conditions and cycling disciplines. Totally waterproof, breathable and windproof.